I'm one of the few guys who admit they love Anne of Green Gables. 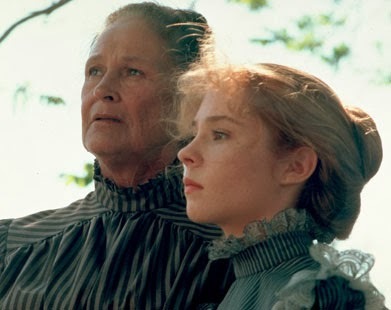 I grew up watching the Sullivan Entertainment, made-for-TV "Anne of Green Gables" movies on PBS in the 80s and they have ever remained among my favorite uplifting and entertaining family films. And I did have quite the crush on Megan Follows and her enchanting portrayal of Anne Shirley. The original Anne of Green Gables books, by Lucy Maud Montgomery, are just as endearing. Anne has such an optimism and zest for life and curiosity about the world around her. It's contagious. She is also notorious for her vivid imagination and getting herself and her friends into interesting and often humorous predicaments - "scrapes" as she calls them. I love that! Tomorrow is a new day with no mistakes in it yet. I try to remember this on those days when I know I've really messed up and need to do better. And I love Anne's optimism for the future, about learning from her mistakes and hoping for a day when she will eventually stop making them. I liken that to my own personal quest to be more like God, who is my Father in Heaven, and is a perfected being full of truth and love. I have a very long way to go to be like Him. It sometimes seems like an impossible goal. But you have to start somewhere. To quote ancient Chinese philosopher Lao Tzu: "The journey of a thousand miles begins with a single step." And thanks to my Elder Brother, Jesus Christ, I know I have the opportunity to repent - to overcome my sins and shortcomings - and to draw nearer to that exalted destination one step at a time.